North American P-51D Mustang "Yellow Nose"
The P-51 Mustang fighter developed by North American Aviation was the best single-engine fighter in term of general performance during World War II. It had top aerodynamic design and power in WWII. The P-51D was the most important Mustang variant. It had improved fuel capacity and could provide the pilot with better visibility. It’s the most produced Mustang. In late WWII, the U.S. military equipped with Mustangs gained air superiority. Their aircraft paintings changed from the previous flat camouflages to natural metal color accompanied by highly saturated recognition colors. Thanks to its beautiful exteriors and outstanding performance, the Mustang is popular among modellers. 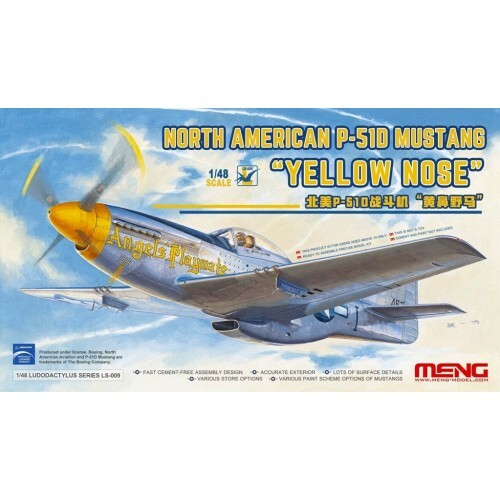 This MENG LS-009 North American P-51D Mustang "Yellow Nose" plastic model kit has two paint schemes with yellow recognition color. 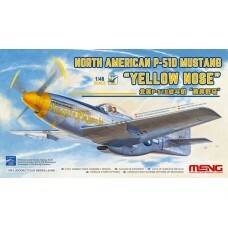 The box art features the aircraft of Bruce·W·Carr who’s a P-51D ace with 25 victories. 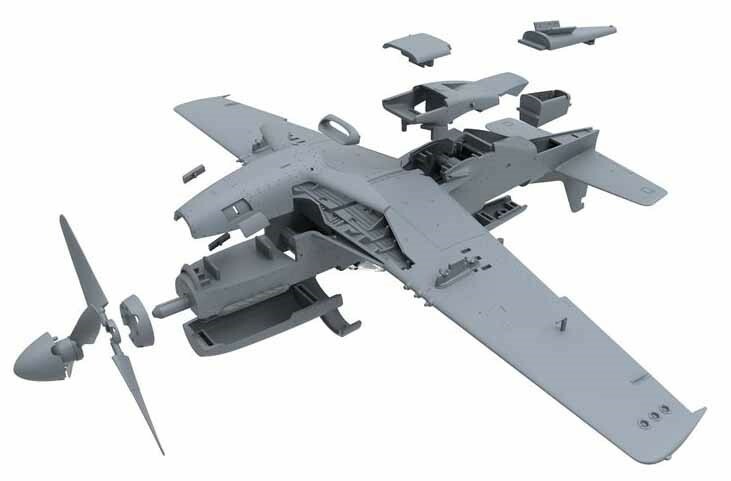 The assembled model will be 205mm long and 236mm wide. 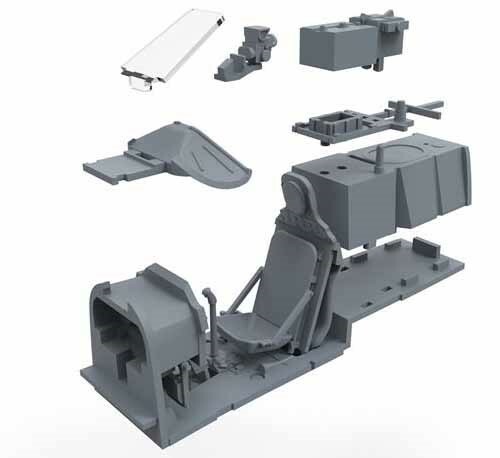 This kit also has features like fast cement-free assembly design, accurate exterior, lots of surface details and various store options.